Catechumens and godparents, standing, join in the rite. Michelle Lai, 23, a catechumen at the March 10 Rite of Election ceremony at St. Patrick’s Cathedral smiles broadly after the ceremony with her RCIA godparents, Peggy and James Lingwall. Ms. Lai is a parishioner of St. Francis de Sales in Manhattan. Cardinal Dolan led the Rite of Election ceremony at St. Patrick’s Cathedral March 10. The cardinal called the more than 300 catechumens “a great gift to the Church.” Amanda Waite, a parishioner of St. Francis Xavier in Manhattan, signs a page that became part of the Book of the Elect. Standing in front of her is Stephanie Gonzalez, an administrative assistant in the archdiocesan Catechetical Office. On the first Sunday of Lent, Cardinal Dolan celebrated the annual Rite of Election at St. Patrick’s Cathedral, welcoming and congratulating more than 300 catechumens who have been preparing to join the Catholic Church. The catechumens will officially enter the Church in their parishes at the Easter Vigil, April 20, when they will receive the sacraments of initiation—baptism and confirmation and First Holy Communion. The March 10 Rite of Election ceremony drew about 900 people, including relatives and friends of the catechumens who were present to show faith-filled support and encouragement. Among the catechumens was Michael Paulino, a parishioner of St. Francis de Sales in Manhattan. Paulino, 35, said his wife, Carmen, encouraged him to enter the Rite of Christian Initiation of Adults (RCIA). Mrs. Paulino is a lifelong practicing Catholic. “She was the driving force. I am very grateful to her,” Paulino, an FDNY paramedic, told Catholic New York in a phone interview last week. The Paulinos, who have been married for nine years, have two children. Paulino grew up the middle child of five siblings, raised by a single mom; his practicing of the faith was on and off, and in his early to mid 20s, mostly off. That changed when he married Carmen. His sister, Ana Nuñez, 39, is serving as his RCIA godparent. “I’m honored to be selected as my brother’s godparent. It’s definitely a blessing,” Ms. Nuñez said after the Rite of Election ceremony. The cardinal told the catechumens that he was especially thankful for them because they are going through the RCIA at a “difficult time for the Church…I’m glad you’re here, because we need you. And I thank God for the inspiration.” His words were interrupted by applause that grew louder as it continued. 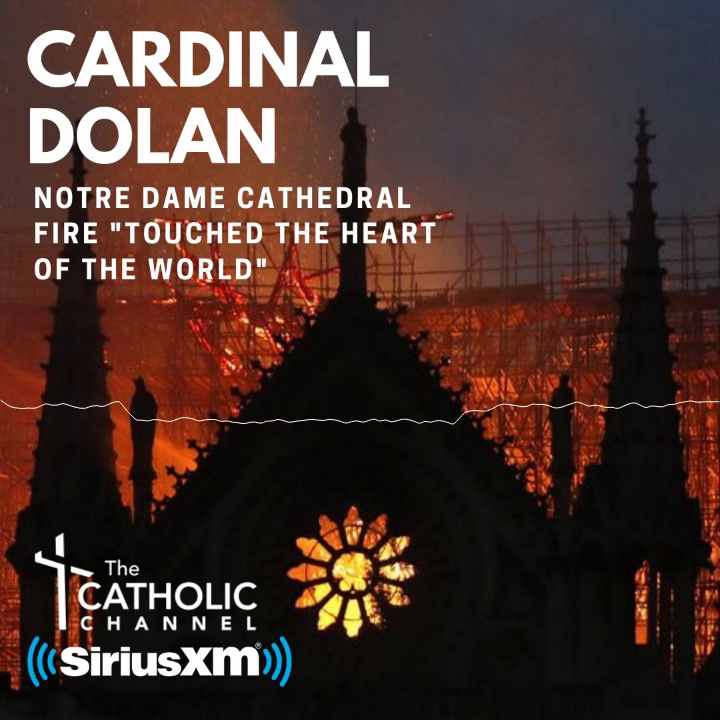 Cardinal Dolan went on to talk about his days as a parish priest in St. Louis, when a man battling gambling addiction sought his priestly advice. The cardinal said he prayed and spoke with the man about the importance of resisting temptation as Jesus did, about maintaining strong faith in doing so, and about salvation and starting anew by leaving behind those things that can distract him from leading a Christ-centered life. The man gave up gambling, even leaving a poker chip floating in the holy water font as an important symbol of his decision, the cardinal said. At the Rite of Election ceremony in the cathedral, there were 317 adults and six youths, ages 8 to 13, from 79 parishes; the youths were part of the Rite of Christian Initiation of Children (RCIC). The catechumens signed the Book of the Elect. Among the catechumens was Michelle Lai, 23, another St. Francis de Sales parishioner. “It’s been life changing; it’s been a great process, helping me to find support in the journey,” Ms. Lai said. “I grew up without faith or religion. My parents are from China, and they grew up at a time when there was no religion there.” She noted that her boyfriend is a lifelong practicing Catholic, and that she has received tremendous support from him and his family during the RCIA process. Ms. Lai is a second-year medical student. Huerta, a married father of two, grew up without his father, and when he was 10 years old, his mother died in an auto accident. He said that years ago his faith saved him from the negative outlook he used to have on life, after he learned to trust in the Lord. Huerta is a self-employed glassware installer. Jacqueline Ferber, 36, said she decided to enter the RCIA program to join her husband, Dennis, and their two children in practicing the Catholic faith, attending Mass and receiving the Holy Eucharist. Her godparent is Carmela Anderson, a fellow parishioner of Holy Family on Staten Island. Mrs. Ferber is a sergeant with the NYPD. “With this job, you need some faith,” she said with a small laugh.